Primera's label printers are part of our best-selling products. 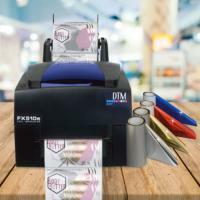 It is without no doubt that these label printers will meet your expectations in terms of quality and usability. We selected the very best from Primera: these full colour label printers cover a vast array of applications. In this section, you will find the functional Primera Lx500e & Many other models. You may also be interested in our range of Epson Colour Label Printers & Self-adhesive Labels.